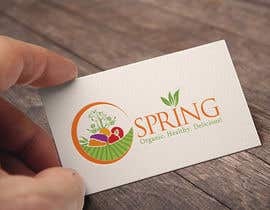 We are looking for a corporate identity solution including the following; Logo Design, Letterhead, Envelope (C4, C5 and DL), Business Cards, Facebook Cover, HTML Email Footer Template and PowerPoint Template. 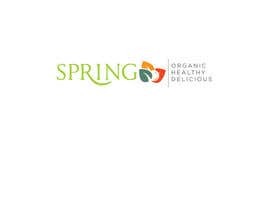 Spring Organics is an Organic Food Company that specializes in the production and retail of Organic Food in compliance with International Organic Standards. Organic Food is grown and prepared with a consciousness of well being around people consuming the food, the earth that it is grown from and the habitat with which it comes in contact with (birds, insects etc.). 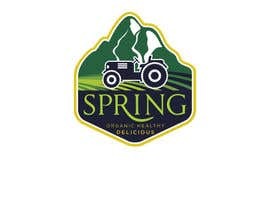 The name of the company, Spring Organics, is inspired as much from the freshness and purity of spring water as it is from the season Spring which rejuvenates organisms living on this planet from dormant trees to un-sprouted seeds. 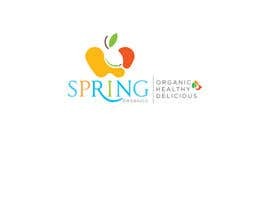 The season Spring provides to them nurturing conditions to sprout, grow into flowers or fruit and bring joy and happiness to those who come in contact with it. 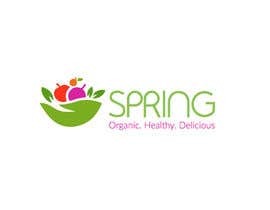 Our produce includes herbs and vegetables such as Lettuce, Spinach, Rocket Leaves, Tomatoes, Bell Peppers, Garlic, Spring Onions, Broccoli, Cabbage, Beans, Peas etc. and Salads made from this produce. 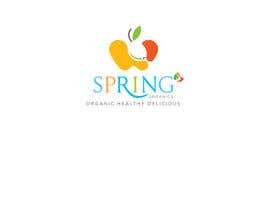 The look of the logo should be simple, colorful, impact full with a zen feel to it. It must convey the spirit of the company described above and should have a very good recall. It should make the viewer feel fresh, nourished, energized, rejuvenated, hopeful and happy. 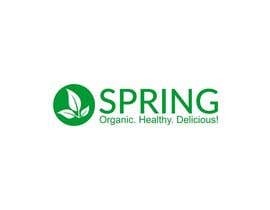 The logo must contains the name of the company "SPRING" preferably in capital letters, along with the tagline "Organic. Healthy. Delicious!". 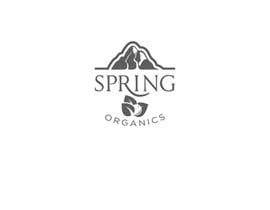 The elements and colours that are used in the logo can revolve around the feel and produce of our company (mentioned above). 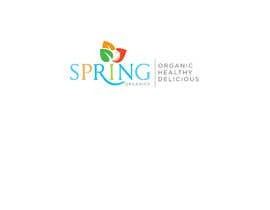 We would like a logo to contain a visual image, the name of the company and the tagline. To choose the winner we will require color logos, black and white logos for horizontal and vertical uses (if applicable), and whatever the participant thinks will help us in making a decision. 7. The CMYK and RGB references used. All deliverables should be consistent in their look and feel. NOTE: Please do not use the ready made logos available online at various websites. I will not been able to deliver these two items. If this is OK to you I will submit my concepts. please submit your designs, we can work this out. they are very simple to prepare. 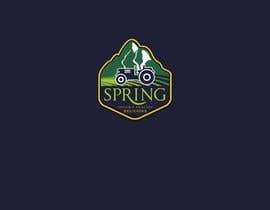 I'm looking for something more colorful, cheerful, organic. Perhaps a vista of a valley, with springs, vegetables, etc.